Michaela Atanassova in Gaming Lifestyle on 23 November, 2017. Super Mario games have been around as long as gaming consoles have been. The evolution of the games throughout has started from linear level completion and given numerous spin-offs like kart racing, ping pong play, ice-skating simulator, murder mystery, his rival – Wario series, his brother – Luigi series, Mario Party series. Trying different formulas developed by different companies, Nintendo could reach out to a wider audience, thus having the rights to the best-selling franchise of all time that is part of several generations’ childhood memories. The latest and most awaited addition, that had been in development since 2013, has won global critical acclaim and praise for its huge variety of missions that you can play any time and then return to the main quest of saving Princess Peach from being wed to his re-known antagonist Bowser. Writing for a Mario game, means I will mainly be discussing the gameplay because it is the heart of the franchise that got millions loving it and being disappointed by the poor remakes. Super Mario Odyssey is a 3D platform developed by the same team who brought us Super Mario World. Since its inception, the team’s main goal has been to target the core audience and to employ a sandbox- style of gameplay where the player decides what quest to complete and how to approach the main content in more open-world-like setting. Now, how does that synchronize with the Nintento Switch? The new platform was released by Nintendo in March 2017 and it is basically a hybrid console-portable TV based which facilitated the transition to 3D games. 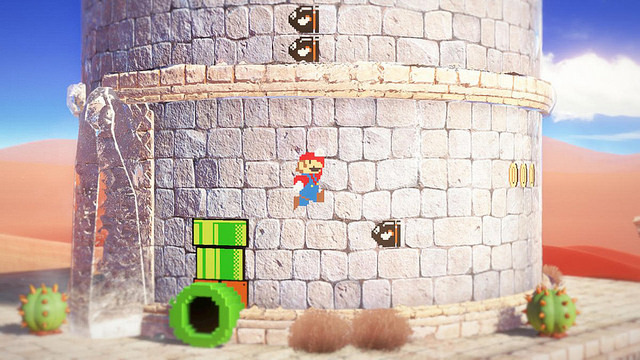 The controls are interactive like the game prompts you to motion the control with your hands in order for Mario to throw his hat like a boomerang. The response is fast and the motion control has been around since Super Mario Galaxy but the good thing is you are only reminded and not required to use them all the time – not really recommended during boss fights as it never works the way you want to. It could be considered the only problem of the game. Super Mario faces quite the number of bosses throughout as he travels to different kingdoms to collect Power Moons, that can power up a ship called the Odyssey which the hero can use to chase Bowser. If you are an oldie action Mario-platform lover, you need to encounter the Broodal bosses which test your skills as the dynamics of the fight challenge you to perform the most complex moves of Mario that require the right timing of pressing multiple buttons simultaneously. 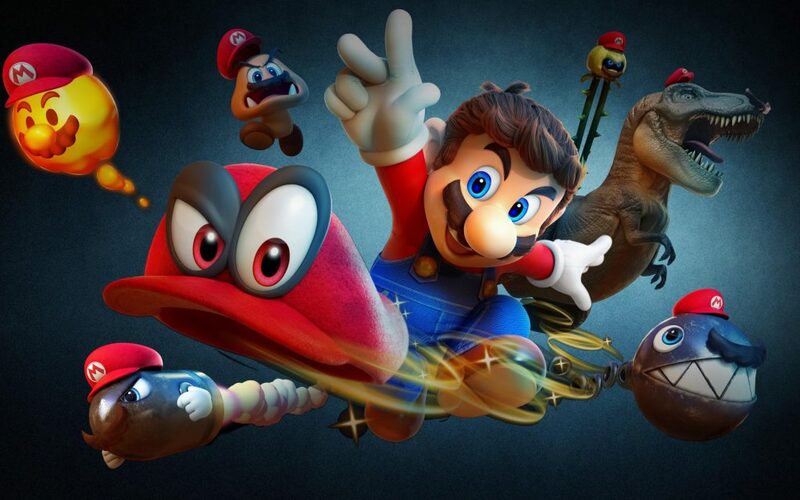 Your magic hat companion, Cappy, gives you the ability to possess different creatures most of the time when you throw him – Mario features stay noticeable as you still have your moustache and red cap. It is the core gimmick that lets you navigate and interact with the environment which overloads you with puzzles and quests. Level-specific bosses would rather need you to try to possess a tank or podoboo or other creatures to beat them. As you play, the game constantly teaches you its mechanics with a mix of challenge and reward. It is a true Mario game successor because it first gives you discovery as a reward but when you actually play it beating a challenge that tests the discovery becomes the new reward. It smoothly switches from teaching you to asking more of you, especially after you have finished the core 12-15 hours of main quest. Super Mario Odyssey is a very familiar game in sound, texture and uses a theme of surprise in the universe of worlds, each with different narratives, unified in one thread, that wrap 2D segments around 3D in spaces with 8-bit Super Mario Bros. mechanics and visuals in 3D architecture. They can be allocated to part of the hardest tests of the games. Moreover, 3D platforming revolving around precise jumps is still a tough nut to crack when you are in your old-fashioned form because in most of the worlds possession fixes that for you like turning into a high-jumping frog. Odyssey is not the traditional open-world games when you have so many platforming-oriented spaces which really bring about the complexity of the game. It consistently will make you grinning with its positive outlook on exploration and discovery which serve, in the end, to endear you more to the quirky crew of Super Mario. 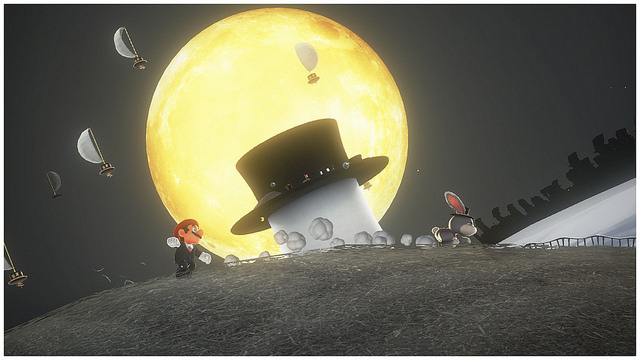 Odyssey takes quite a radical departure from the typical skillset of Mario, as its main purpose is to challenge the player with new surprising environments with their own set of enemies with wildly varying powers, which have even more varying patterns to learn, puzzles to solve like answering riddles for a sphinx or finding hidden area in retro 2D sequence. After the initial completion, players are urged to revisit the kingdoms in order to collect more Moons, as you were acquainted with a fraction in the main story, or you can fight bosses just for the fun of it. There is both freshness and nostalgia to be found in Super Mario Odyssey. It expands on the structure of open-ish worlds by not altering it but giving the best to players –freedom to complete quests that change the setting after completion. Previous games like Super Mario Galaxy, New Super Mario Bros, Super Mario 3D Land and 3D World tried to capture the freewheeling spirit of 3D Mario within a classic linear 2D storybook structure of the first games. They were missing something that couldn’t keep your interest for long after beating the game. 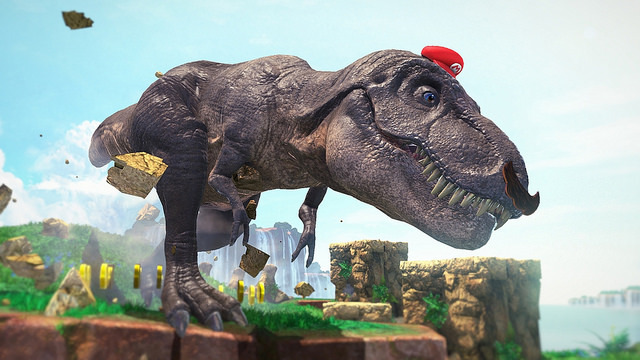 Maybe several things, as a matter of fact: freedom, surprise, shock of the new – whether challenges, narrative or just the look of Mario changing into a creature or item that keeps your attention to Mario details like his moustache or red Cap. The catch is the camera trying to keep up with the acrobatic movements in perilous 3D spaces -it has always been a daunting task. Tokyo EAD worked around it with spherical levels to ensure you have a decent view. Odyssey just embraces the chaos and it requires some of input from the player and rarely it cannot deal with Mario’s exuberant moves and extreme geometry and it goes off. The whole game Odyssey comes as a decent surprise as it doesn’t quite follow the tidiness of every other Mario game presented since Sunshine.